As it goes in my quest for finding complete bliss with 4 children, school, dinner and errands to run… I wanted bliss in my own head- silence amid the chaotic, good luck, I thought. I am taking a class in Ayurvada- the Science of Life. Our assignment- Chanting. I practiced the mantra’s or chant’s of ‘Om’, ‘Lum/Lam’, and ‘Shreem’. 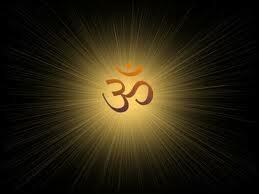 Om empowers the spirit and clears the mind. Shreem increases the power of the feminine for health and beauty. Honestly, I have to state that I was a little concerned I wasn’t doing it right. Was I doing it fast enough, slow enough, too loud or to soft? But I was convinced after finishing my chanting session that I did it right for me… I knew by the shift I experienced afterwards, a different energy, a more refined, balanced me. I really liked the ‘Om’ chant and found that it grounded me more so than ‘Lum’. ‘Om’ seemed to surge through me like an electric current so powerful I felt a need to consciencsley pace myself as my eyes were compelled to connect with my sixth chakra, the third eye. It was an intense feeling, one that could be and was a tad bit overwhelming- but in a good way, concentrated in power and something that I would like to continue working on to reach the higher essence. ‘Lum’ was very subtle, for me at least. It did bring a heaviness but I wasn’t sure if I liked it as well, as ‘Om’ was a hard act to follow. I felt to grounded, a little on the lazy side. Not exactly the realm I want to be in even as a flighty Vata dosha. I mean I want more focus, just not with more weight. Am I asking too much? I found that this mantra was better kept for right before bedtime, to help me unwind and get lazy, at the time I can be! At one point in chanting I connected the mantras all together and it sounded ‘OmLumShreem…’, ‘OmLumShreem’, ‘OmLumShreem’. I enjoyed them like a shower, feeling revitalized, confident and centered ready to start my day! I will continue chanting mantra’s and exploring more. I want to get to know them better. Peace, Love and Happy Chanting!